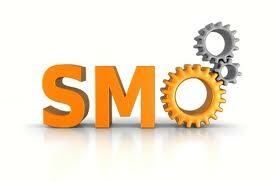 Home / Blog / Search Engine Optimization / What is SMO? There are all types of acronyms floating around the web these days, but there may be one that you are not quite aware of and that is SMO. What is SMO? It is social media optimization! And it means quite simply that the content that you put out concerning your website is able to be shared by all the different types of social media out there and is of good quality. It is not surprising that this phrase has come about. Social media has claimed a strong foot hold in the industry when it comes to internet marketing, product development and social awareness. It is thought by some that SMO and SEO will be at the same level eventually and while this may not happen, it is correct that you are no where when it comes to internet marketing if you do not have a strong social media presence. Not everyone has the knowledge or the time to manage a social media campaign. It is something that has to be done on a daily basis and cannot stop or you may see a drop in followers or rankings! The most important thing that you want to do is to make sure that your social media – your blogs and tweets etc. are worth reading and worth sharing and re-tweeting. If you think that you might need help with your social media campaign then give Absolute Web Services a call at (305) 937-2526, we would be happy to help you organize a strategy that will work for you and your business.